Tis the season of gift giving, and if you’re anything like me, you like to gift handmade goodies for the holidays. 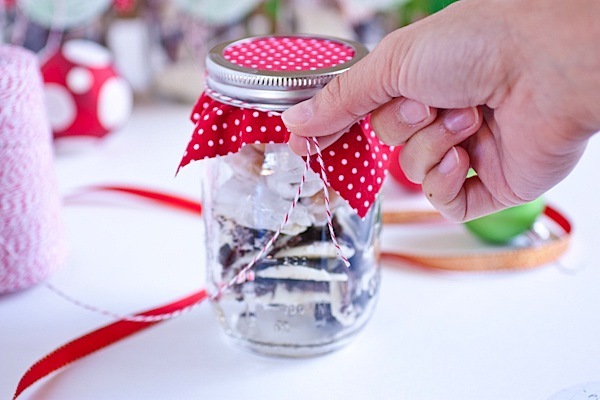 Even if you prefer to purchase your treats from a local store or bakery, this tutorial will work for you, as long as you plan to place them in a mason jar. Here’s a super easy tutorial on how to festively decorate a mason jar for gift giving. 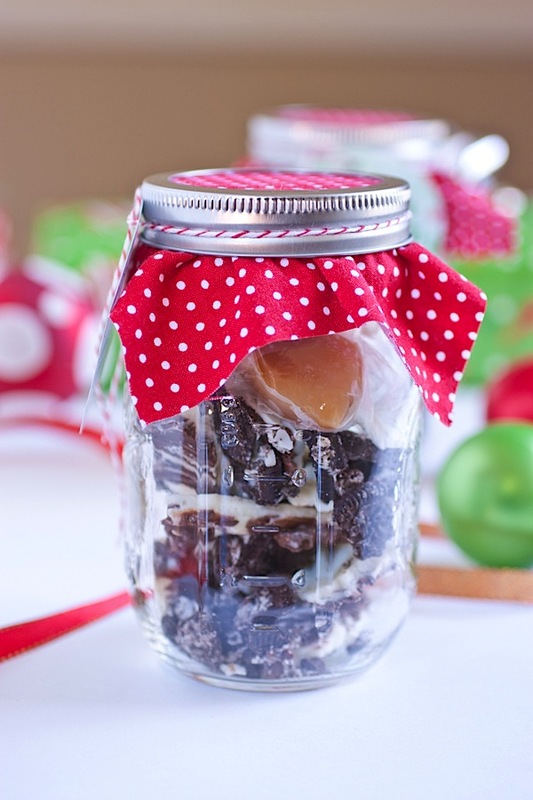 Mason jars are great for so many holiday gifts: cake/cookie/bread mixes, granola, BBQ sauce, jam/jellies, and the list goes on. 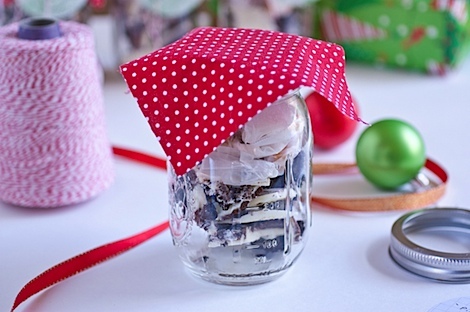 This tutorial will work with any mason jar, no matter the contents. Fill it with your choice of treats! 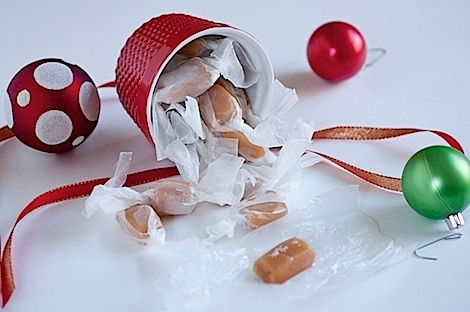 Pink Salted Chewy Caramel Candy (click for caramel recipe). 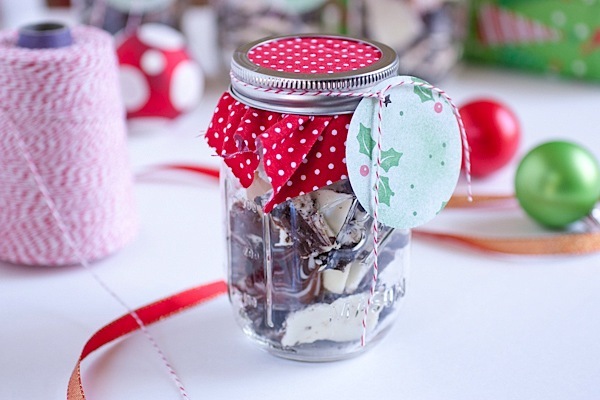 I put a little of each treat into a mason jar so my gift recipients got the best of both worlds. 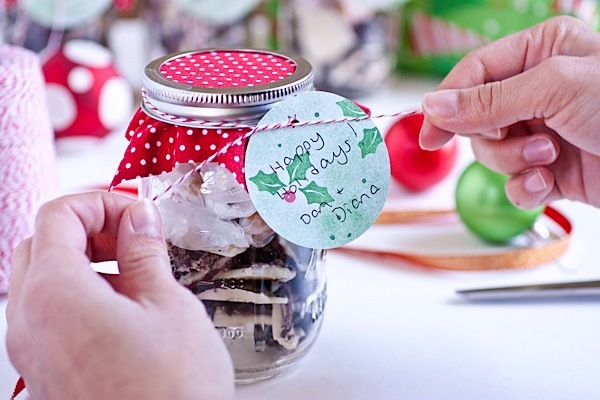 But, if you just google “mason jar homemade gifts” (or something similar), you’ll find plenty of other options and other ideas. 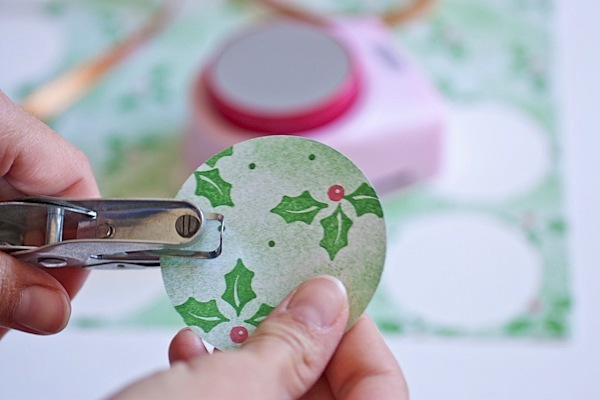 Using a large scrapbook shape puncher of choice (I just used circle-shaped tool), cut out cute scrapbook paper for your gift tags. 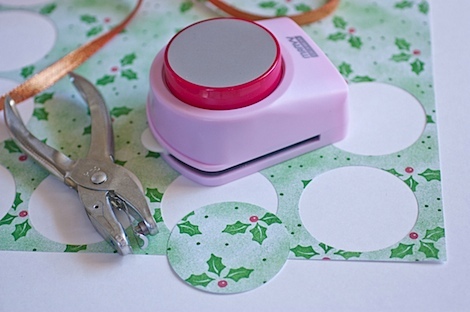 If you don’t have a puncher, you can really cut any shape you like, even a square or rectangle. Punch a hole in the top of the gift label. Cut a square out of some fun fabric. You want the square to be a little larger (by about 1 – 1 1/2 inches on each side) than the mouth of the jar. Some of the fabric will be covered by the top ring of the jar, so when you’re measuring, be sure to take that into account. My jar is medium sized, and my fabric is about a 5 inch square. For your first jar, just cut one square as your test square, screw on the top ring and see if you like how it looks. Adjust fabric size if needed. 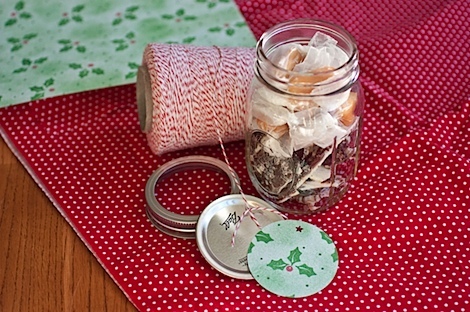 With the silver, flat-disc-part of the top already on the jar, put the fabric on top of the covered mason jar. Use your fingers to keep the fabric from shifting too much and screw the top ring over the fabric. Tie on some kitchen twine. Then tie on your label. Reader question: if you like making them, what do you put in mason jars for gift-giving? If you like receiving them, what’s the best mason jar gift you’ve received over the years? These are cute! I just decided this week that I was going to do homemade gifts this year instead of playing the guessing game of what everyone wants. 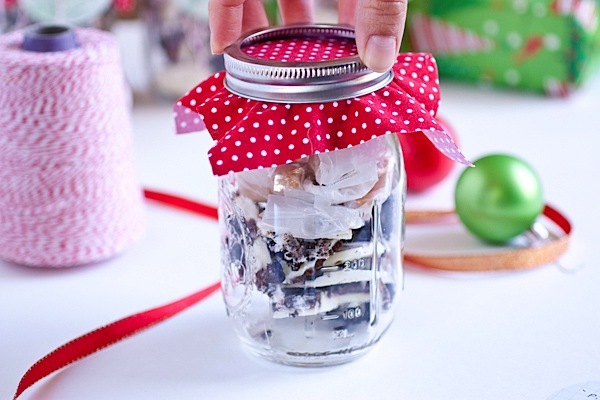 This gives me some great crafty ideas which is perfect because I have not a crafty bone in my body! 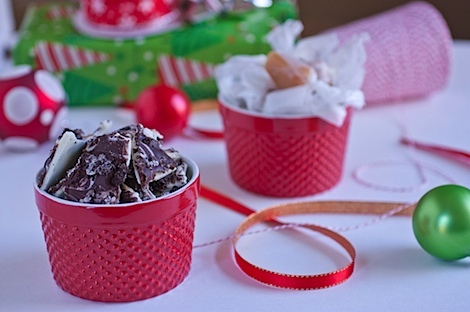 ha-ironic, i just made your cookie dough balls a few weeks ago and put them in mason jars. only i didn’t share. i’m definitely going the baked-goods route for christmas this year though. What a great idea! I bet my Christmas cookies would fit in large jars…any reccomendations on where to find the wide mouth jars online? You can get the wide mouth jars at World Market. My 9 year old niece won a mason jar with cake mix in it at a baby shower a few weeks ago and thought it was the best thing ever – she was so proud to make her family cupcakes. 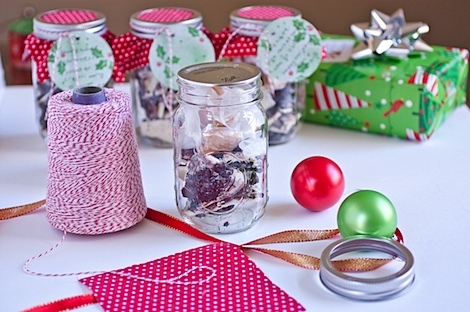 So for her “big” Christmas present I am buying a dozen jars and filling them with all different things. A couple cookie recipes (she can add eggs and whatever), muffins, cake mixes (hopefully from scratch) and a cocoa mix. I simply can NOT wait to see her face Christmas day! Very cute! I need some prizes for my upcoming cookie swap and might make up some jars like these. Great! 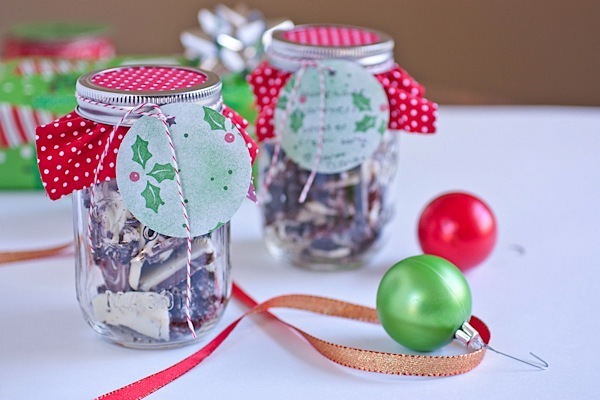 I was actually thinking of doing something like that for the holidays with cookie mix but I hadn’t thought about decorating the jars. Love it! I love this, they look so adorable! 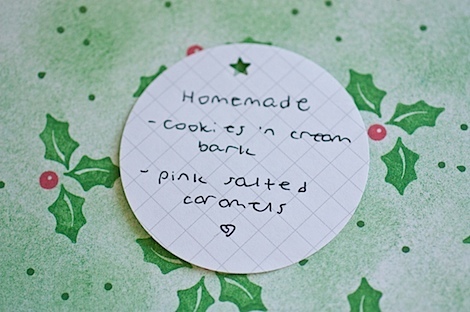 I love little homemade touches at Christmas!